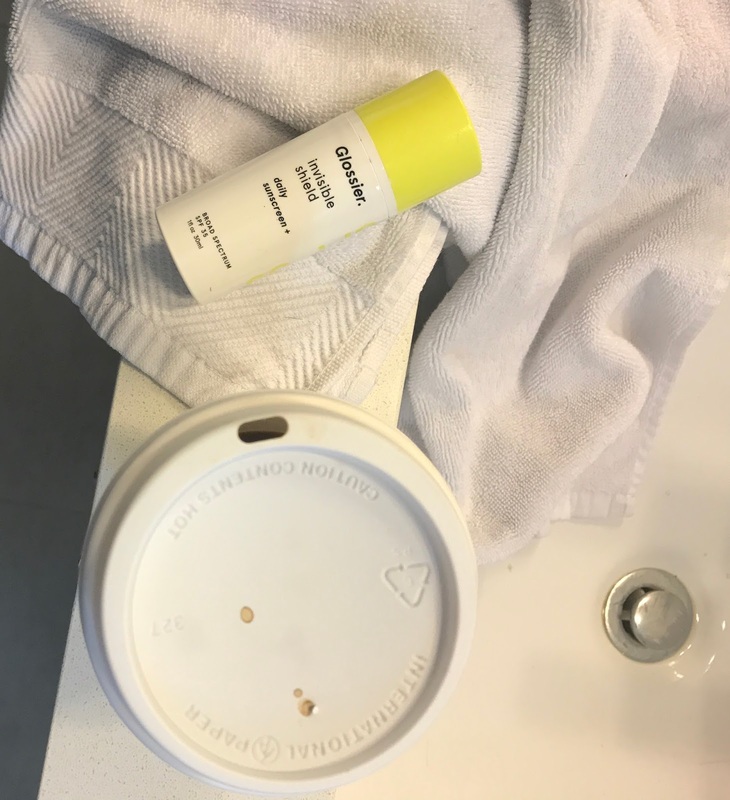 A lot has been said about the wonder that is Glossier Invisible Shield SPF 35 but sometimes a picture, or in this case, the video is worth a thousand words. The glory of the Invisible Shield is the sheer (pun intended) wearability. It is in fact, perfectly clear. Also, and this is probably where it wins my never ending devotion, it doesn't pill or ball, or turn weird colors or textures, even on top of all my serums and treatments, and especially under makeup. Even after several layers, lots of blush smudging, oil-based highlighter, even more smudging. In fact, I think it makes my concealer go on even smoother and more natural looking. Which just makes it so easy to wear, as they recommend, Every. Single. Day. That's the thing - we all know we need sunscreen. We also have a million reasons not to use it consistently, and it's truly a waste. We do so much for our skin, and the sun is the single worst cause of aging, hyperpigmentation, dryness, and probably evil curses. A light as air, smoothing, yummy smelling, adorably packaged, the sun and free radical protector just make it easier not to skip. this crucial step. Most of the other products I use are also Glossier, including the Super Pure serum, blush in beam, highlighter in moonstone, brow gel, lipstick in like, stretch concealer, and priming moisturizer rich.